Battery acid sealant, and mild cracking repair. Return the life to your vehicle batteries and other vehicle equipment by sealing cracks and battery acid leaks. 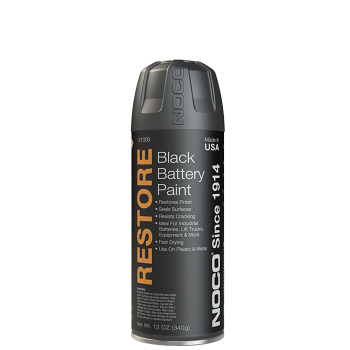 The proprietary paint blend ensures a thick, even coat to return your equipment back to its original integrity and deep black color.